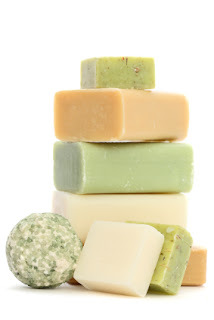 Well, I planned to host my first Link-Up and write about our experience using natural, homemade soap. As it happened, my friends at Simply Cleansing agreed to a giveaway! First let me say that we’re soap snobs! We have extremely sensitive skin in our family and before we got a handle on things, my little one’s hands would crack and bleed in the winter time. We’ve used different oils, salves, lotions, etc., and several years ago, one of my children was given cream from a Dermatologist. I later learned it had ingredients considered carcinogenic. Ick! I was putting that on my 2 year old? Ick! So after all these years, this week I finally got my husband to try a bar of homemade soap. Haha, sure, honey! One thing I love about homemade soap is that I’m not afraid of the list of ingredients. 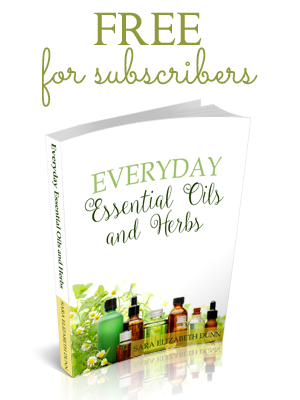 In general, the words are recognizable, pronounceable, and now we can use lotions and oils just because we want to, not because we have to. I’m very excited that my friends at Simply Cleansing are being part of my first giveaway this month! It fit so well! Please enter below for a chance to win a collection of 8 bars (your choice of fragrance). The winner will be announced next week! Please join me and share your tips and ideas on creating culture in your home. Topics can include homemaking, homeschooling, natural living, Biblical family-life, attachment parenting, working with or parenting children with “special needs,” etc. You don’t need to be a Mama to share your creativity and wisdom. 1) Please share my link-up button somewhere on your post or sidebar and link back here so others can participate. 2) Visit at least one of the other links, and leave a comment, letting them know where you found them. Let’s use this not only to share but also to encourage others. Check back next week to see the Featured Top 3. Sharing with Raising Mighty Arrows, Our Simple Country Life, A Wise Woman Builds Her Home, Raising Homemakers, The Time Warp Wife, Growing Home, Far Above Rubies, Little Natural Cottage, Raising Arrows, The Modest Mom, The Better Mom, and These Five of Mine Plus Two. I plan on making soap this year. I have said this for the last few years but the lye scares me. I do love homemade soaps. Your story is interesting, too, Nycole. Thanks for visiting. It’s neat to hear that people can really tell a difference. Thank you for this lovely giveaway and linkup opportunity!